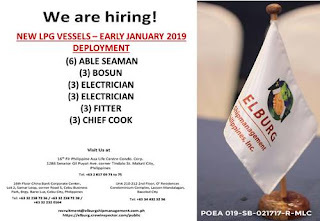 SEAMAN JOB INFO - Elburg Shipmanagement hiring Filipino seaman crew join on new LPG vessels deployment January 2019. Share to help other seaman looking jobs at sea. 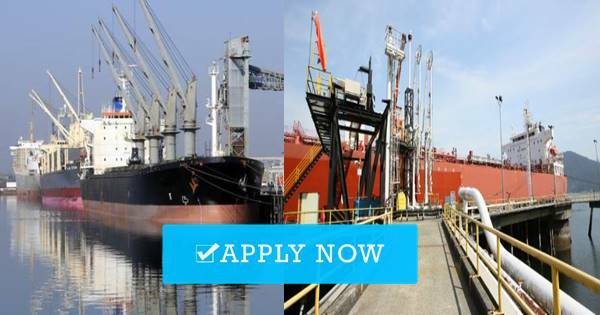 Maritime & offshore career guide. Urgent job hiring for seaman. All crew agency list, news for seaman and seawoman. 0 Response to "AB(6x), Bosun(3x), Elect(3x), Fitter(3x), Cook(3x)"